I have recharged 975 plan on aircel 3g, I got 2.5 GB for 30 days. Before recharging I have asked aircel executive in aircel office that are aircel towers in Warangal capable of 7.2 mbps, he replied it has got nothing to do with towers sir , speed depends upon only on recharge what you do. 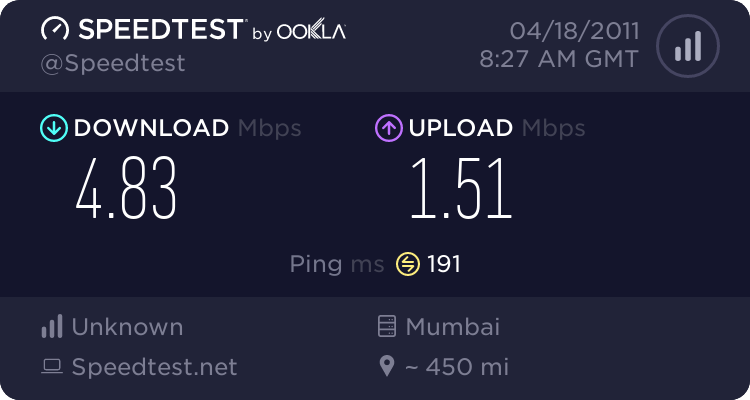 After recharging I came to know that towers at my place are capable of only 3.6 mbps. I am using umg 1831. Guys it’s not only in BSNL ,even private operators do provide wrong info & cheat us. The only reason why I took aircel 3g is becoz of poor browsing from BSNL at my place. 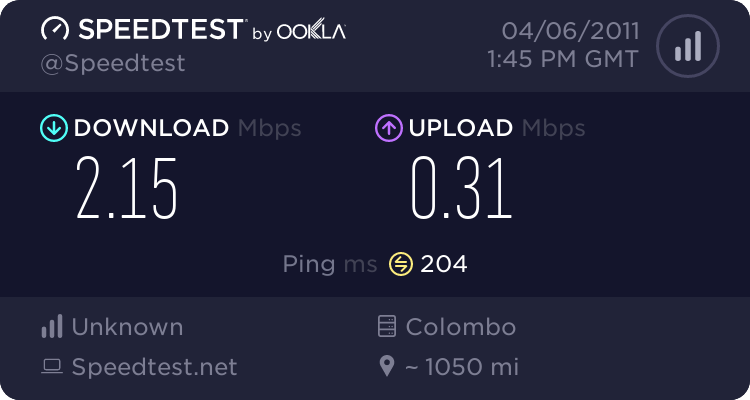 Even if the tower is capable of 7.2Mbps, your assigned profile shows only 3.6Mbps. Yes, I am also having the list of plans offered by Aircel show room. The 975 plan is 7.2Mbps. You should make a complaint to the Customer Service. They may not be aware that we can check the assigned profile / speed through MDMA. So, the struggle continues here also ( like with BSNL )! yes i have raised complaint today , they said they will call back me in the evening on the speed issue . avg speed of 4-5 mbps if this plan runs on 7.2 mbps.... RIGHT? 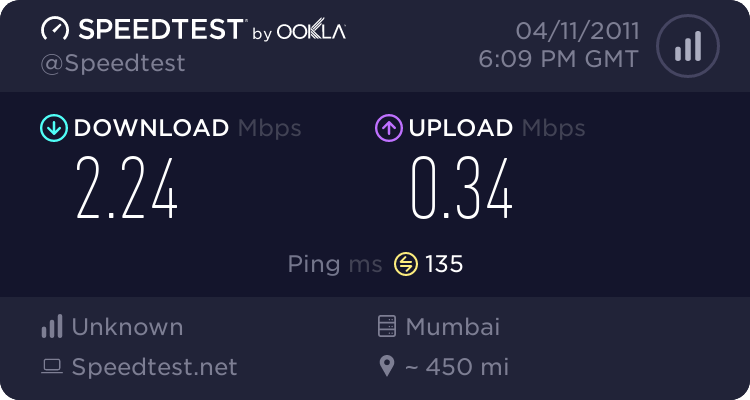 Current AIRCEL 3G speed on 975 plan. Last edited by Warrior; 11th April 2011 at 11:37 PM. Last edited by Warrior; 15th April 2011 at 09:20 PM. At least you will get some decent browsing now even though a bit pricey. browsing has always been good in AIRCEL for me. will have it in between 150-250 ms.
3G tariff too high but i don't have many ISP's at my place. If BSNL improves it's service i will get back to it again. works ok if the signal is good. My next door neighbour in chennai is using it. But the best plan thy have is Rs 1000/ plan. Rs 500-700 will give you only 2-3 GB. In Tamilnadu -MTS Emblaze BB-good coverage. recently when I was in OOty- Photon was dead- Only BSNL+ MTS had coverage in the hill station. Ask the MTS show room guy to bring his net book+modem and check signal strength in your house or use your freind's modem in your laptop first. Unlike GSM modem-CDMA modems are dead money!! oops i thought mblaze have carry forward option. i think tata photon + has carry forward option , i will go for that next month. 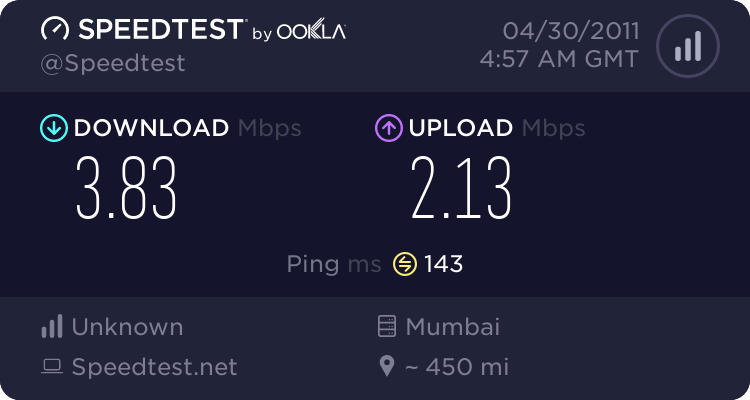 Does reliance net connect plus & bsnl have carry forward option? i won't spend 1000 a month......i will always prefer carry forward option, just like aircel 975 plan which has carry foward option. [QUOTE=mdheeraj86;324880]oops i thought mblaze have carry forward option. 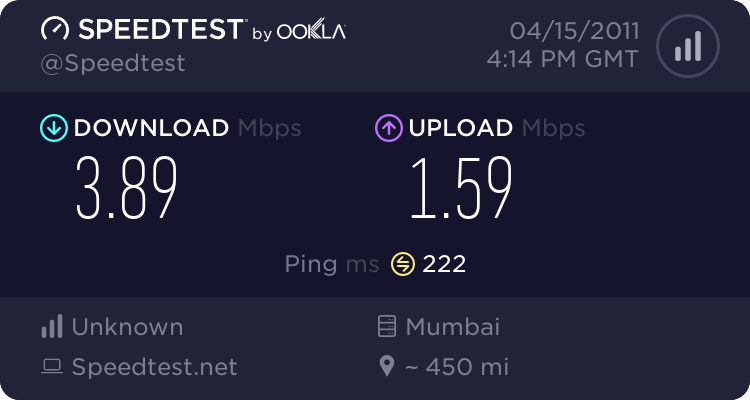 Tata Photon Plus -pre paid -if you have 80-90% signal in your home- is ok.
You will get 0.5 to 1 mbps max but browsinfg is ok.
My wife has comapny given Reliance netconnect- it is good . we have compared Photon/Net connect -side by side in our rspective note books. Reliance is slightly better+ all India Coverage ! (photon not so). I went and thouroghly analysed Reliance net connect before I bought Photon. If I dont travel and stay at home I dont need a fixed high commitment on mobile broad band - So I thought at that time. Now in 2011-after 3 G- I have lot of options. Any way go to Reliance web site/show room and analyse "pre paid only" plans and see c/f ok.
if not check whether photon signal is good in your case and you can go as it is carry forwardable. & bsnl have carry forward option? or terminates the left over 200 mb and starts afresh with the new pack. I have good signal in tata photon at my home. but i am worried about their wrong charges . some where in this forum some one got bill for night usage also . That guy has 2-8 unlimited in 500+ plan. Thanks ulysses for your detailed info, i still have 2GB left in aircel 3g , probably it will end in may as i only use for browsing. I will only take decision only in may. If i find any decrease in aircel 3g tariff say 2 Gb for 700 instead of 975 for 2.5Gb i will go for aircel instead of new EVDO connection. I may go again back 2 bsnl 3g data plans if they provide me good service as they did last year. i had same signal strength form last 1 year & browsing was good last year, it was even good in first half of 606 plan. i don't have any day or night balance left in 606 plan. Last edited by Warrior; 16th April 2011 at 01:11 AM. Last edited by Warrior; 18th April 2011 at 05:03 PM. Still i got 1.5 GB left in this plan & it's expiring on 5th may, as aircel has carry forward option on may 5th i will recharge with 92 pack ( 100 mb @ 3.6 mbps for 30 days) and my speed will be limited to 3.6 mbps. Getting 2G speed on 3G recharge!! !